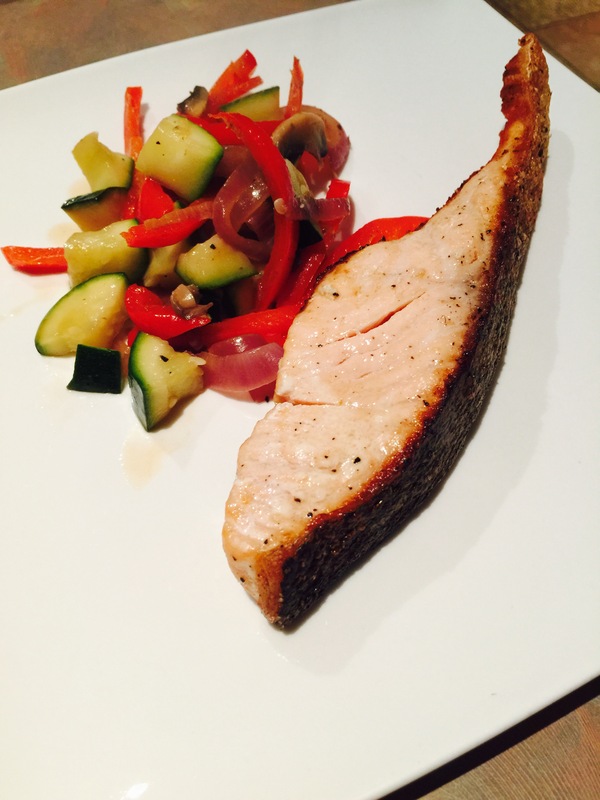 Easy to make, restaurant quality crispy skin Atlantic Salmon. 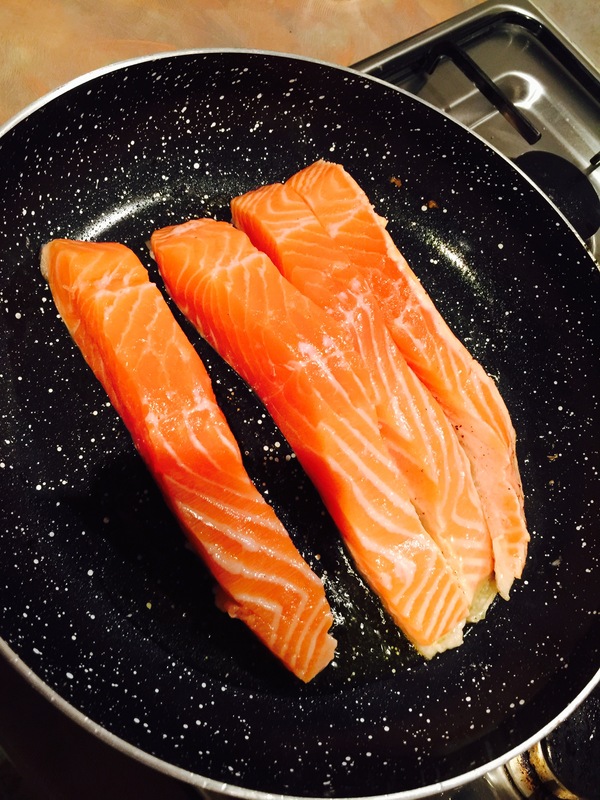 You will need either Atlantic Salmon or Tasmanian Salmon, approximately 150g each. Skin on, pin boned (take the bones out) and scaled. Heat a frying pan to hot with a dash of virgin olive oil, salt and pepper to taste. Make sure the oil doesn’t smoke, that’s too hot. 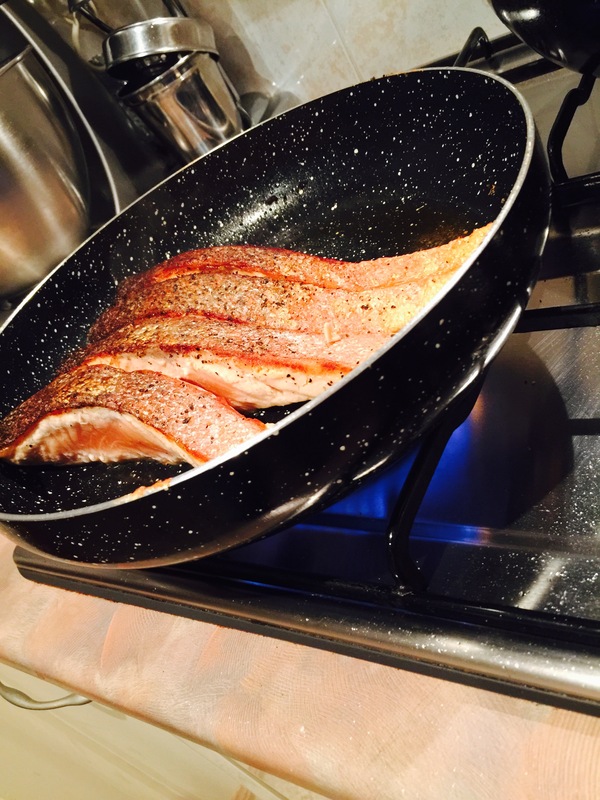 Place the Salmon skin down for approximately 3-4 minutes, then flip over and tap the skin with a spoon. Sound crunchy? Feel hard? Then that side is done! 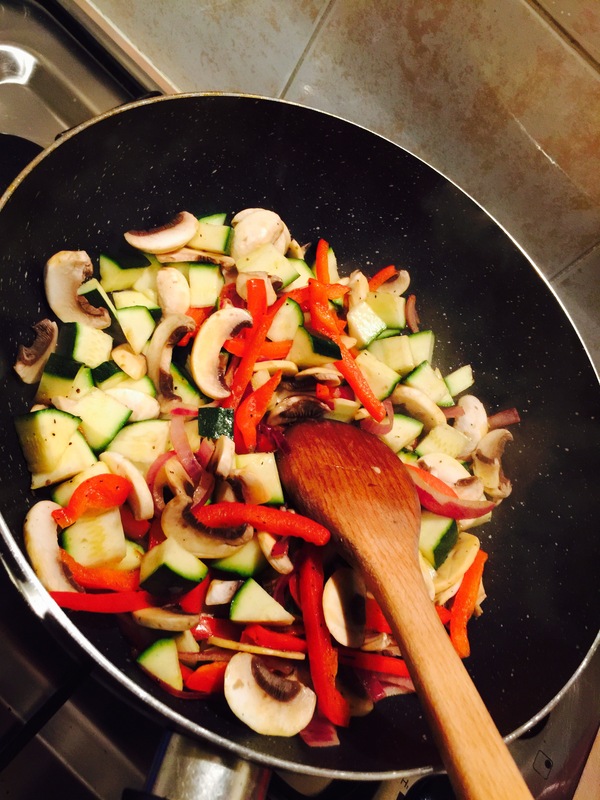 My veggies was a simple mix of zucchini, capsicum, mushrooms and Spanish onion. Whatever is your favourite is what you would insert here.